When things in your life get stressful, the last thing you’re likely to want to do is take time out of your hectic day to make a stress plan. A better idea is to make a stress plan ahead of time, so that it will be there when you need it. Follow this simple guide to crafting a unique, individual stress plan that you can rely on to calm you down when you need it. By making and following a stress plan, you will gain tactics that will help you tackle tension in the moment, and put long-term strategies into place to keep you feeling resilient and upbeat in the future. To reduce tension in your life, it is a good idea to have a multifaceted stress plan. Start by listing everything that causes stress in your life. Try to be as specific as possible. Give yourself twenty minutes to complete this stage of your plan. Then, group your list into two categories: preventable stress that is a result of your own actions, and unpreventable stress that is caused by events outside of your control. Your stress plan will incorporate techniques to help you deal with both so that you can feel healthier and happier throughout the day. Your stress plan is likely littered with things that are outside of your control, but just as likely is the fact that you can take steps to prevent many of the situations that cause you tension. Common behaviors that cause stress are procrastination, unrealistic expectations of oneself, or an inability to learn from previous mistakes. For every item in your preventable stress category, come up with three possible actions that you could take to change your behavior and reduce the stress or pressure it causes. Then, implement one of these ideas the start of every week, and try to stick with it for all seven days. If you start implementing your stress plan a bit at a time, you will be able to tell which actions make the most difference in your tension level, so you will know which ones to keep and which ones to cross off the list. As you add new techniques one by one, you will gradually work your way through the entire category, thereby doing everything you can to prevent stress in your life. Although half or more of the items on your stress plan may feel unpreventable, there are steps you can take to reduce your stress reaction to all incidents, even those completely outside of your own control. 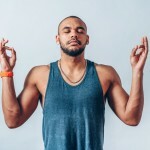 The best thing that you can do to eradicate stress that comes from events like being cut off in traffic, yelled at by a colleague with a bad attitude, or anything else that you can’t prevent is to take good care of your body so that you can stay resilient when tense circumstances appear. Exercise can help you regulate your mood, lessening the emotional swings that can come with stress. Try to include at least twenty or thirty minutes of exercise on at least three or four days of the week, and you will be sure to notice a difference in the way your body reacts to stress. A diet of balanced meals taken at regular intervals will help to keep you from sudden blood sugar spikes and drops that can contribute to feeling stressed or worn out. Taking time for quality relaxation is also an important part of stress management. Spending even just ten or fifteen minutes a day shaking off the cares of your work and home life can do wonders for your ability to cope with stress, so make exercise and a healthy diet a part of your stress plan. When you experiences stress, your body produces hormones like adrenaline and coristol to raise your energy level in a flash and prepare you to fight an enemy, or to flee from danger. The body’s instant, hormonal response to stressful situations may be the evolutionary reason why our species has survived for so many centuries. However, in today’s world where physical danger is rarely the cause of stress, this hormonal flood often leads instead to intense emotions like anger or frustration. Training yourself to relax in the face of tension can be simple, as long as you keep your stress plan in mind. When you experience a stress episode, such as sudden feelings of aggravation when confronted with a difficult task, try responding with a brief, calming pause before you react. This will allow you to recover from the sudden rush of adrenaline and cortisol before you take an action, such as growing angry or upset, that can prolong the tension. To deal with stress in the moment, strive to keep your perspective and your awareness that, as the cause of the stress recedes from the present into the past, the hormones will subside and you will begin to feel normal again. Once you’ve got your hormones under control by breathing deeply and manually overriding your stress reflex, it’s time to turn to your stress plan for more lasting solutions to the problem at hand. If you’re feeling frazzled or tense, you probably don’t have a minute to spare, and the last thing you’ll want to do is try to pinpoint the flaws in your stress plan. By touching base once a month, you can make sure that your support structure stays strong and current. Take a quarter of an hour and appraise your stress plan, crossing off anything that is out of date and coming up with new tactics for handling any new stresses in your life. One of the best things about updating your stress plan is seeing the progress you’ve made. Problems will simply drop away as you learn how to handle their causes, and after a few months of mindful stress reduction, you can look forward to watching your list shrink, and maybe even disappear.